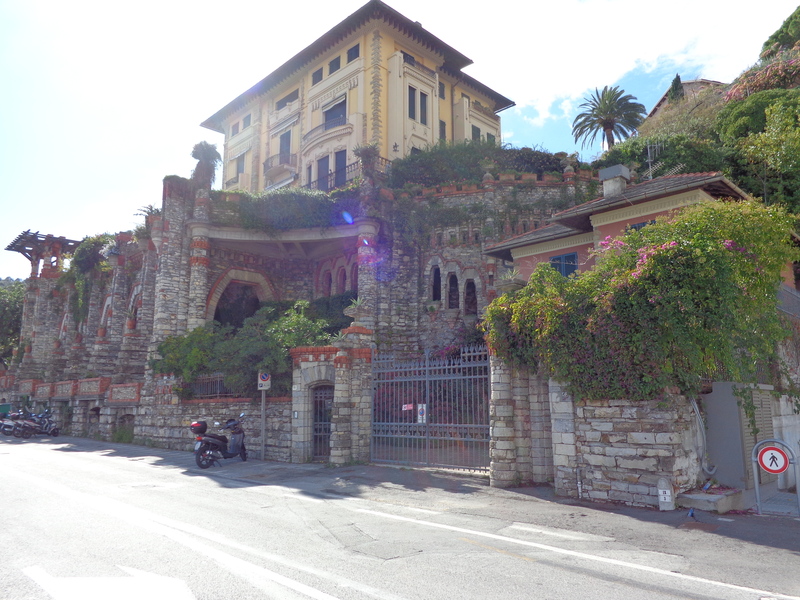 While driving along the Italian Riviera between Genoa to the north and Portovenere to the south, I was greatly entertained and delighted by the brightly painted villas along the way. 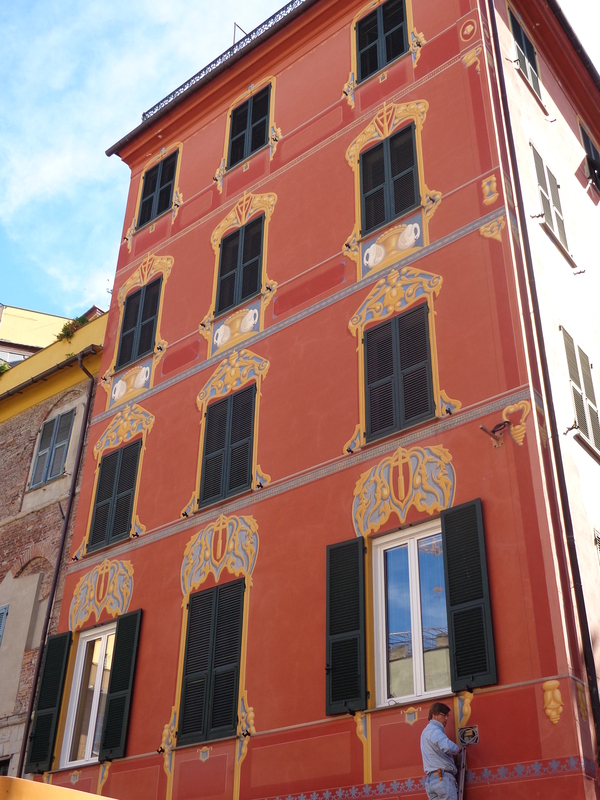 Typical of the area, many are dressed in colorful window embellishments, curlicues, and even some with painted on shutters. Pastel colors dominated the coastline and were lovingly as well as artistically kept in immaculate condition. 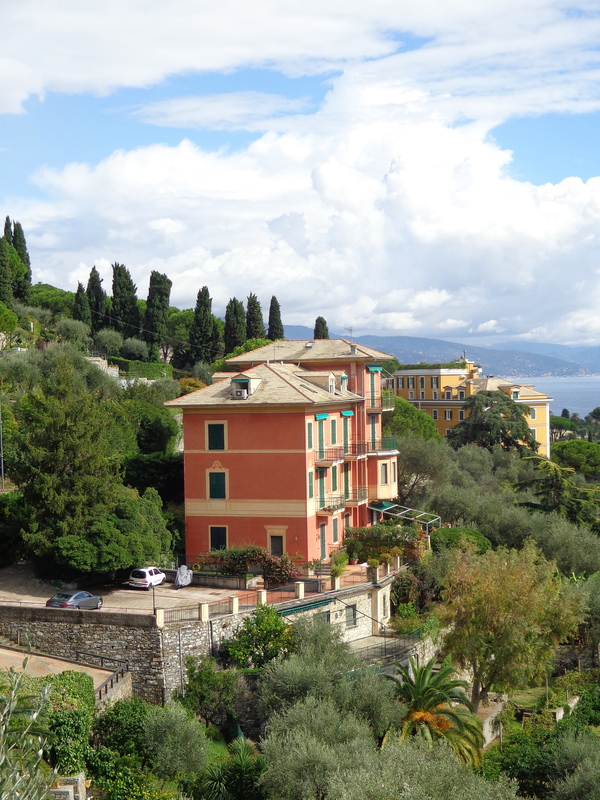 Jump inside and take a drive with me on a lovely day along the Italian Riviera. 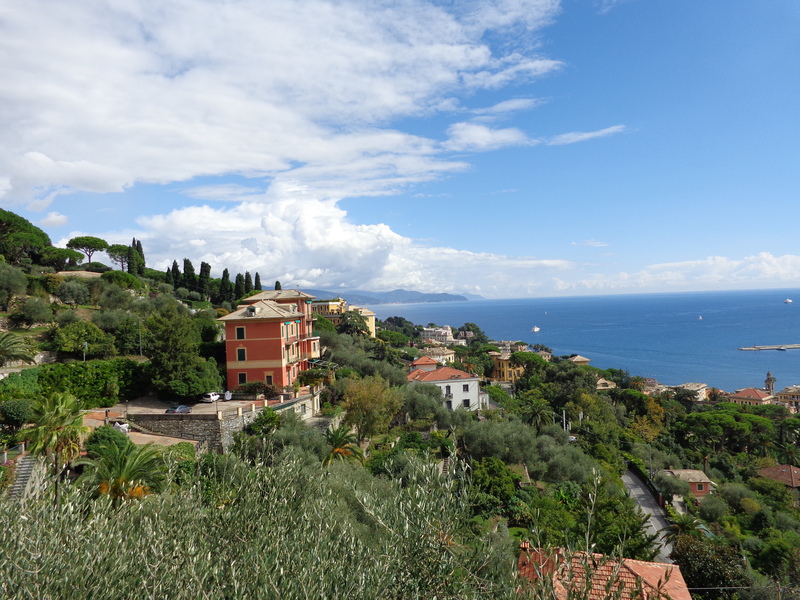 Most of the villas sit high above the Mediterranean on terraced property of fruit groves and gardens. 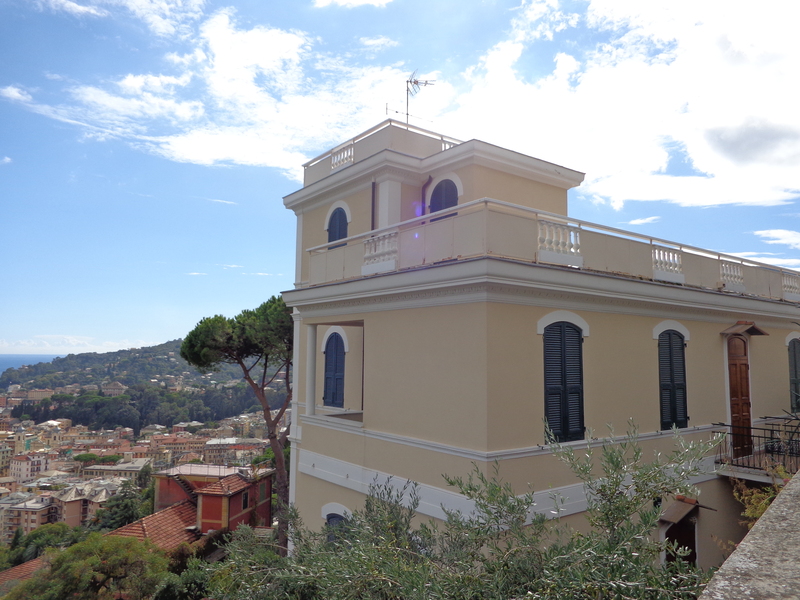 Iron rod balconies welcome views of the Mediterranean and the terraced landscape. Love those tall green shutters. At least these appear to be real and not painted on as some shutters are. 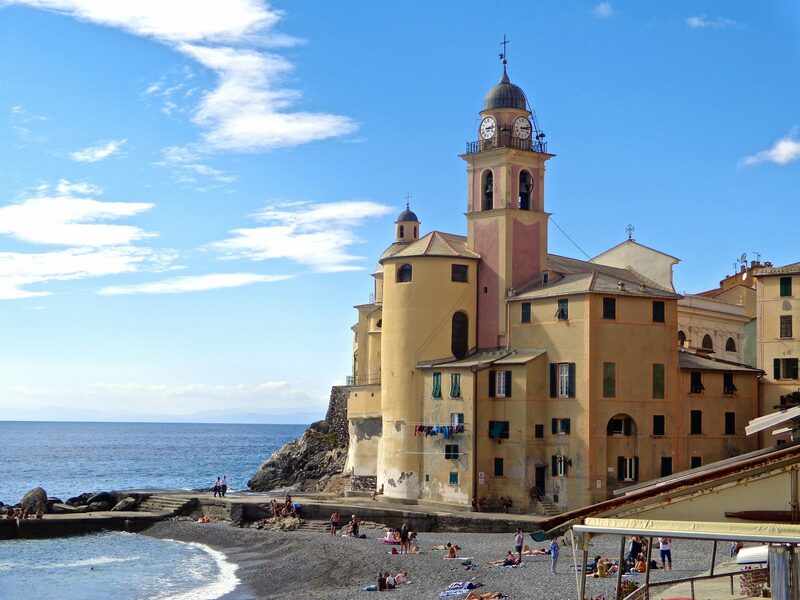 This Riviera di Levante, (“the coast of the rising sun”), another name for this part of the Riviera, is an experience that i’ve found a joy to relive. Pastels, artwork, terraced hillsides of olives, fruits and vines, and intoxicating ocean views all weave together a very pleasant place to linger. 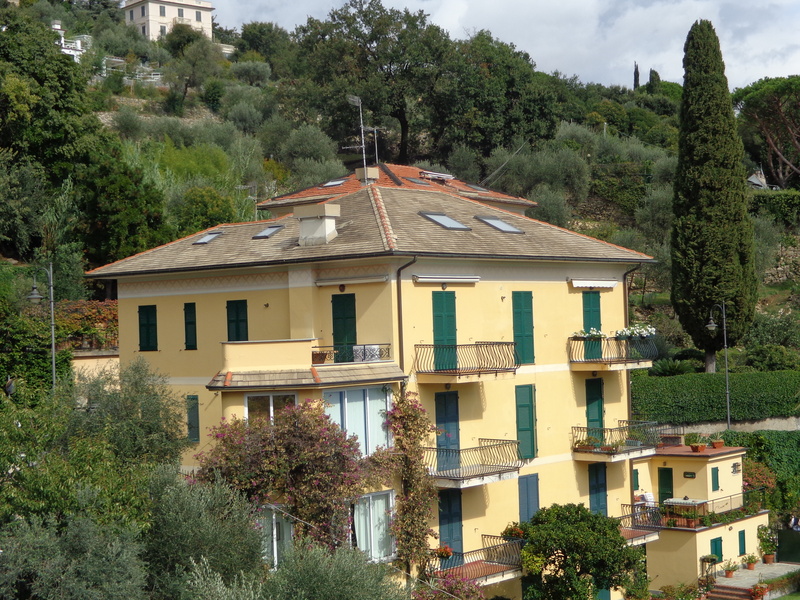 Susan, the buildings in Italy always seem to look so fresh and clean as well as beautiful. 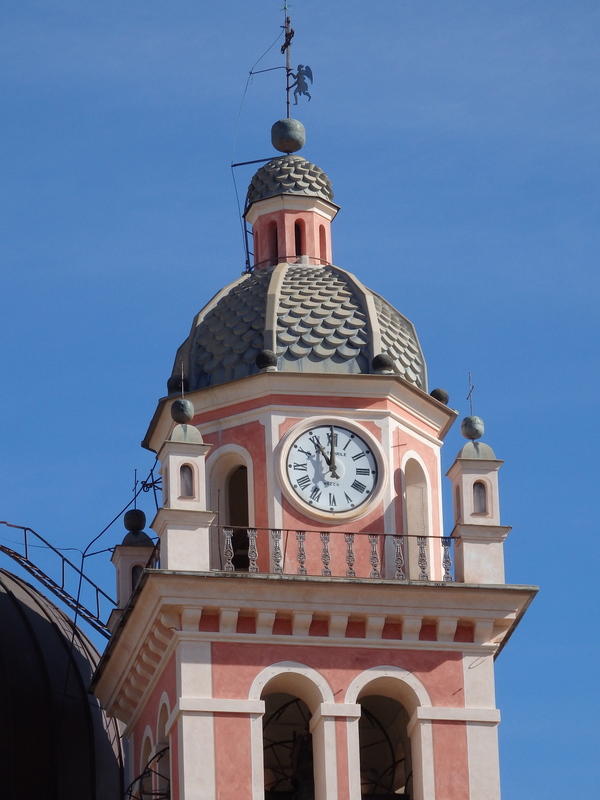 I especially like the clock tower. Thank you Wendy! Have a wonderful weekend. Yes, they do…all on the same coastline…. :) Love the huge lemons in the Sorrento area. I go nuts for those painting buildings! Beautiful photos…. Magic. Such a magnificent area. Your photos are stunning Susan. They are all so beautiful, I wish I could live in them all. I spent a wonderful long weekend near this area last year and it was like a colorful dream. I could own 365 of them and live in one each day of the year…but they all have to have a view of the Medi!! Hello Nance, you will be in for a wonderful time. 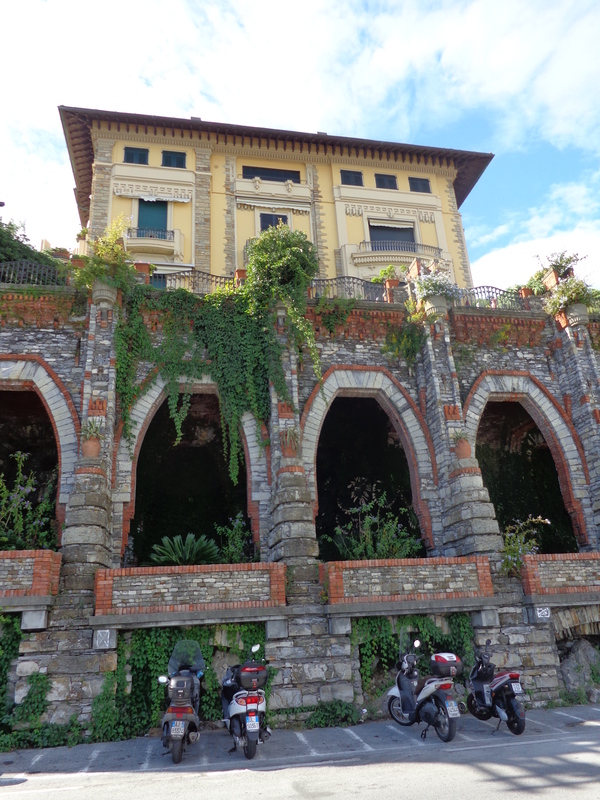 Genoa has an old medieval city section that is incredible. 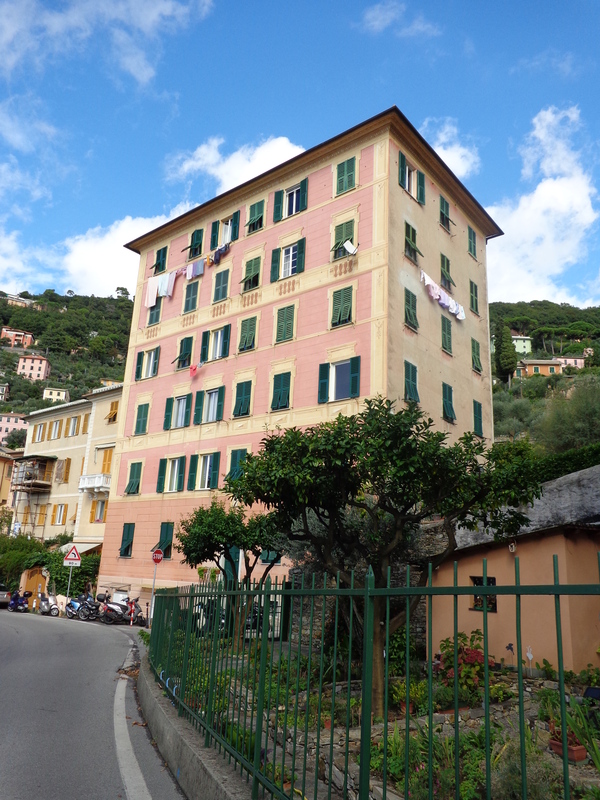 If you get down toward Camogli and Chiavari, look for the painted villas! Have a great time. 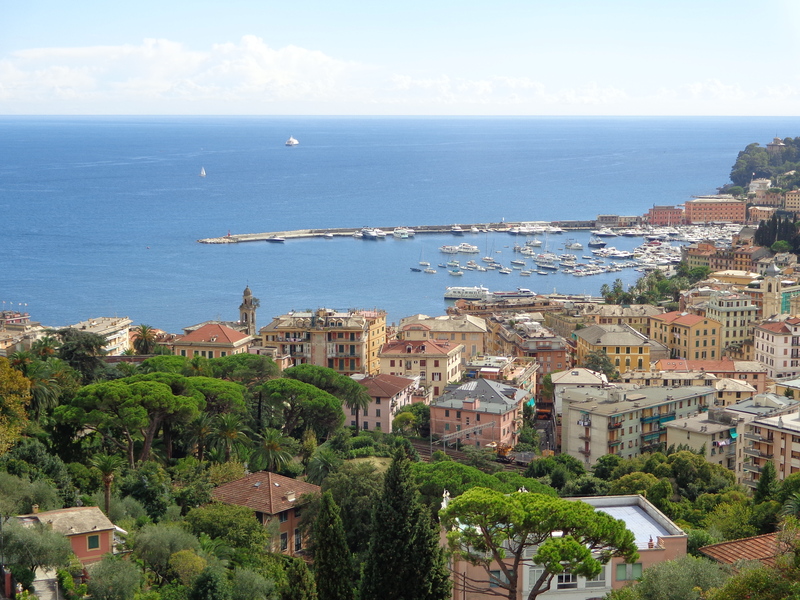 I love Genova! I do! I know it is a port town, but it is beautiful! 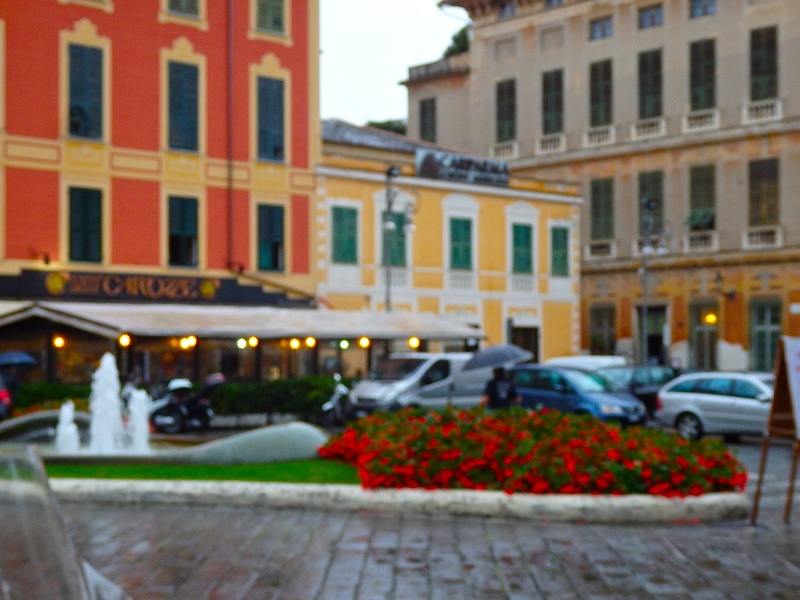 My father is from Trieste, so maybe I feel at home in the port towns?!?! No idea. Anyway…Genova has the BEST pesto pizza! YUM! I agree Diana…I would love to return. People tend to shy away from Genoa, but I think it is a goldmine of really great things…like pesto pizza! !